But they need to go back to school. My older two start today...and I will dance as the bus pulls away from my driveway. With just my Silhouette & some acrylic paint, I got this awesome bag...all set for Ty to take to school on Friday...I'm secretly hoping that this super-awesome tote helps Mrs. Crowley look past the fact that my almost-4-year-old doesn't know his ABCs yet...poor 3rd child. cute stuff maggie. geez, your kids arrive at school bearing gifts? is t-bone excited? my hugo is NOT. coco starts today and couldnt be more excited!! So, so cute! What teacher wouldn't love that? What a great idea! Everyone can use a bag to carry their stuff around in! 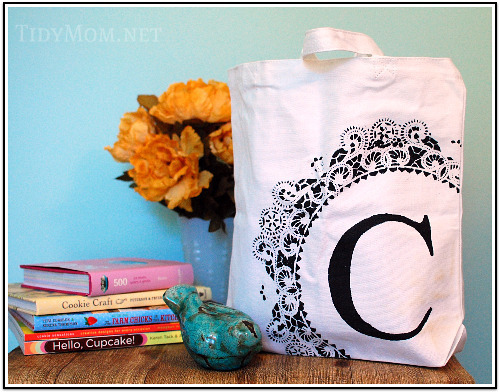 Awesome Tote! I might be recreating this for my son's teacher! Thanks for the inspiration!